Because we’ve gotten so many compliments on our logo (designed by yours truly) we had some stickers printed. We plan to drop off a pile at the Electric Fetus downtown St. Cloud, so next time you’re there make sure to grab one. We’ll also give them out at our classes and keep a stack on-hand whenever we’re performing. 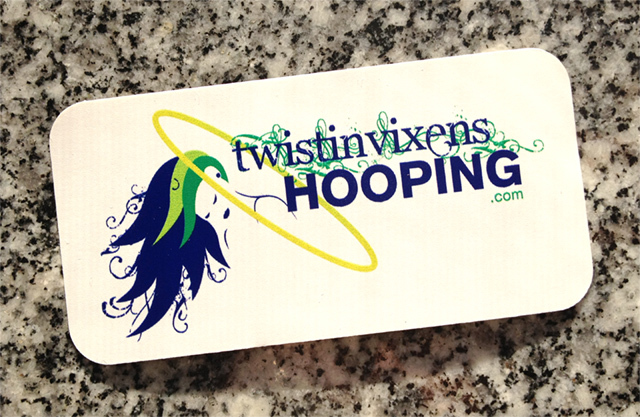 If you want one, email your address to colleen@twistinvixens.com and I’ll drop one in the mail for you!